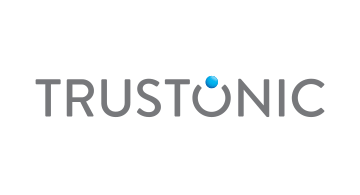 Trustonic, a joint venture between Arm Holdings and Gemalto, has a mission to secure mobile devices, mobile applications and the IoT. It works with 9 of the top 10 Android device OEMs to embed security into their devices and to provide access to that security to third party companies wishing to build secure mobile applications. Secure user authentication underpins everything else. Once you have proven that the user is the one that they claim to be, trust for other services is significantly enhanced. All banks offer consumer-facing mobile applications and TAP adds significant benefits around secure user authentication, secure storage and secure communications. Hardware-backed security enables a mobile device to become an approved payments acceptance terminal, reducing costs and delivering new opportunities. The Trusted User Interface (TUI), which is a unique feature of the Trustonic TEE, enables secure PIN entry through an Android handset touchscreen. Using a single set of APIs, apps only need to be developed once and a single application is built, supporting both hardware and software security. Trustonic’s works with Android OEM’s to embed accessible hardware security into billions of devices, delivering a Trusted Execution Environment (TEE), which is a mechanism supported by the main processor on the device, enabling a secure operating system and Trusted Applications (TAs) to be executed within it.